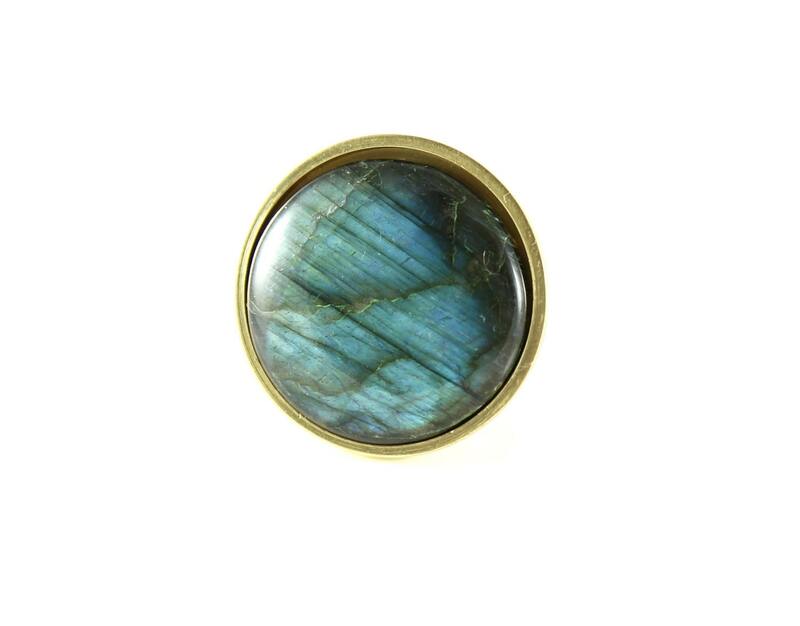 Turn the ordinary into the extraordinary--move between the mundane and the sacred with a gaze into your flash labradorite knob. 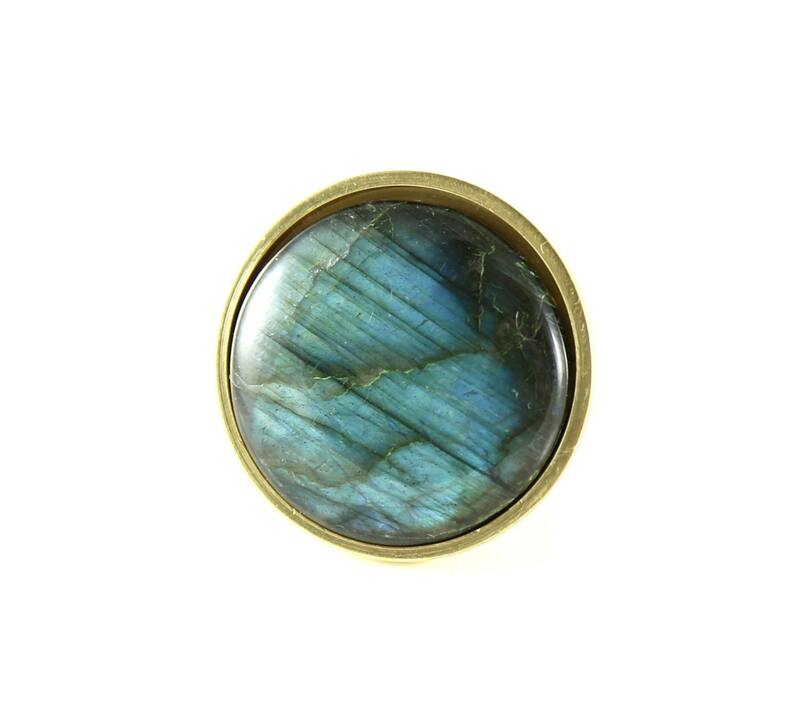 Flash Labradorite is known to be a protective stone that strengthens your inner energies and allows you to access your natural intuitive power. 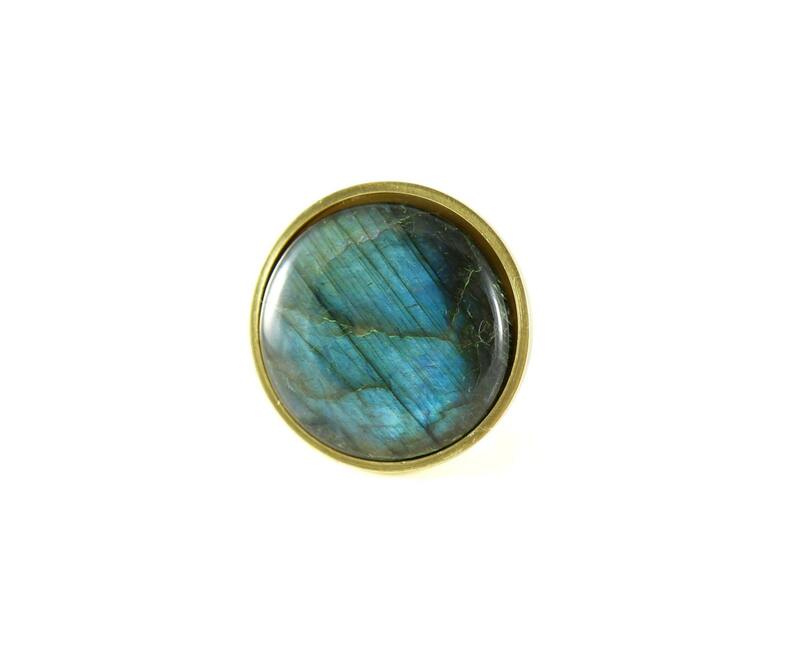 This labradorite jewelry knob featured was angled toward bright light to capture the best flash of mystical shades of blue and blue-green! This unique knob will give a magical finishing touch to your cabinets, dresser or desk drawers.